Society’s current conception of the term “soul mate” is completely contrary to what the term really means. Imagine two gallons of water taken from the Atlantic Ocean. Both gallons consist of the same energy because they were both part of the same ocean. Yet each gallon will have its own experience separate from the other. Now imagine a soul in the nonphysical realm that chooses to experience different aspects of itself by inhabiting two different people. Those people consist of the same energy as that one soul: they are soul mates. Most people on planet Earth do not meet their true soul mates; to do so, to reach the stage where the gift of reunion becomes manifest requires lifetimes of growth and evolution. So far, only about two percent of the human population have actually met their true soul mates. When most people think of soul mates, they picture a man and woman walking in some eternal garden of mental, emotional, and physical paradise right here on Earth, without a day’s worry or tearful eye. But as those who have met their soul mates will attest, this picture of a garden of eternal, blissful paradise is anything but the truth. Yet, once the challenges of their special union have been met successfully, it becomes the truth. How will you know if yours is indeed a union of soul mates? I will tell you. From the moment you meet, there is a certain familiarity, a knowing you cannot describe in words. In the beginning of your relationship, you do, in fact, feel as if you were in heaven on Earth. You feel love, a union, as if you were a perfect match, which you are. You blend on all levels and in all ways. You feel that you share something unique, something mysterious yet so familiar. You understand each other instinctively, intuitively, and easily, as if you had known each other for eons, as indeed you have. You see right through to each other’s core, and you see each other’s best. Each of you is amazed, captivated, even overcome by the other’s energy, intelligence, grace, and natural abilities; yet, at the same time, you see all of the other’s weaknesses, the areas in which growth is needed. You are not bothered by these weaknesses, however, because you know or believe the other has what it would take to meet these challenges and grow through them. Your bond is akin to white on rice. You fit together hand in custom-made glove. And, despite being so alike, you embody vast differences. Certainly biological differences: one male, one female. And perhaps intellectual differences: you may be at opposite ends of the intellectual spectrum, with one of you scientifically inclined and the other, spiritual. Yet in your core you each carry and sustain a comfort level, a feeling of safety and innate understanding you can never put into words. For how can you possibly describe understanding the very depths of one another such a short time after your physical meeting in this life. You cannot. It is inherent. Natural. It simply is. And it is what you share: your souls, your energy, how in sync you are with each other, how you can sometimes finish each other’s sentences, how you have a psychic connection that you have never experienced before. When you are together, you do, in fact, feel you are in your own heaven, your own paradise. You are, after all, with your true other half, so, naturally, you feel as natural with the other and, at times, understand the other more than you understand your self. Do you know why? Because you chose to meet in this life to grow. This is where the challenges come into play. A short while after your blissful bond becomes intense, the challenges – the true reasons why you chose to meet again and join physically in this life – come to the surface. Havoc ensues. Surely you are not on this Earth to stagnate but to grow. And so ruffles appear within the relationship. But the ruffles have a purpose: they bring to your attention those areas within that each of you must confront, work through, and ultimately heal. No one but your true soul mate could intuitively pull out from your core depths those precise areas that need to grow and heal. Of course growth is uncomfortable; it is far easier to stagnate. Therefore, you may find yourselves engaged in a tug of war. You may even break up temporarily. But no matter how hard you try, you cannot ever escape the truth of your natural bond. That bond, made up of the energy and chemistry you share with your soul mate, can never be broken. Because you cannot escape the truth, you have to face it; And when you do, you reap great rewards indeed. When you try to deny or turn away from the reasons you chose to be with your true match, however, you put yourself through unnecessary pain. It is precisely those areas of growth that you are meant to confront, work through, and heal – the areas your true match has gotten you to notice – that make you to want to run and hide. But because you can’t hide from the truth, you begin, slowly, to realize that yes, you do have issues, core issues that you deserve to heal. And your soul mate sees those issues quite clearly, but they do not bother him or her nearly as much as they bother you. They are simply your deepest challenges; once you meet them, they are healed. Then you experience once again so much of that heaven on Earth the two of you had at the beginning of your relationship. Denying those challenges is like trying to fight the current of a powerful river. That river is your soul, trying to carry you home to that place of wholeness within where the false views and perceptions of self are finally healed. Fighting this current is fighting the course you chose in order to heal. 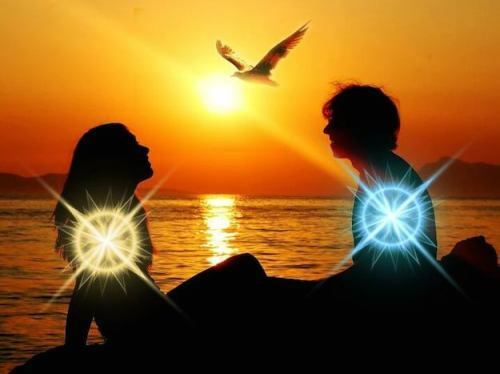 Meeting your soul mate is the gift that enables you to heal those aspects of your being you have been longing to heal. This process has been set in motion only because you chose to meet your true other half in this life, to experience the healed, validated, and wonderful being that you are. It is in sharing your growth process with the one who has the same energy you do, the one with whom you fit so perfectly, that you are able to see that process in action. It is then that you experience that heaven-on-earth feeling and, together, experience the perfect fit again. The paradox is that in order to maintain that fit, you must heal that part within which no longer serves your evolutionary growth. The patterns of eons past no longer fit. So, in this life, you chose to meet the one who you knew from the beginning was your perfect match. Fight as you may, that truth shall always be there. And, more than you can imagine, your soul mate is rooting for you to grow. Grow through and heal the false views of self that hinder your evolution, that cause you to stagnate unnecessarily in a life into which you were born to live, experience, explore, thrive, and share the essence of yourself. You try to run, but you cannot. Your heart longs for that one person, that one true match who understands you so and whose love is so pure. You have known that all along. And though you may feel you do not deserve that love, this feeling is a fallacy. We all deserve love, soul mate or not. So, you have challenges that you have chosen to overcome. And there, by your side, is this person who, for some reason you cannot understand, has not told you to go away a long time ago. The reason is that they are a part of you. They share your energy. They are rooting for you. Once you decide to overcome your growth challenges, then and only then will you receive the true bliss of the soul-mate reunion. 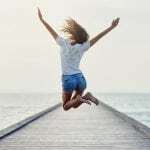 The price is honest work on self, removing all old, ingrained, negative patterns that no longer serve you, so you can finally experience the true you, the you that you have been working to achieve for many lifetimes in your evolutionary process. The rewards are indescribable. Like you, your soul mate has his own issues, which you pull out from within his very core. Every time he tries to run away from facing his responsibility to self, to work through and heal his issues, there you pop up again. So you are each faced with a choice. Avoid self growth, and leave your true match behind, never to be forgotten, always to be longed for – or face those aspects within yourself, work on them, and heal them so you are finally and truly free of them. Then you will have your special and perfect match by your side for the remainder of this life. That is the choice.